Take a Seat! Let’s Have Some Fun! The best way to summarize this content is to expect the unexpected, with the goal being to give you the most realistic look possible into swing trading with options. I accomplish this by creating all videos in “real time” so that no trade is being talked about in hindsight. Due to this “real time” nature, the atmosphere of the content is, as if, you were sitting next to me and we’re just having a laid-back conversation about the trade. If you are seeking some boring school like lecture, you should not invest into this content! Why I entered the trade. What indicators I looked at to help me reach my decision. General thoughts on the environment surrounding the trade. How I am feeling at that point in time (remember, the videos are done in “real time”) relative to the current profit/loss I am experiencing. What adjustments I may need to make to the trade itself. Whether or not my bullish/bearish/neutral outlook has changed, is changing, or I’m still feeling confident in. Why I am deciding to keep the trade going, or ending the trade. MOST IMPORTANTLY, at the beginning of each video, I use TimeAndDate.com to document and verify the actual timing of each video so that you know nothing is being done in hindsight. While I truly believe anyone can benefit from this content, the people that will benefit the most are those with jobs who cannot monitor the markets every second of the day. As you will see, the time I put into all of these trades is very minimal. After finding and executing the trade, it is a very hands-off process that just needs to be temporarily monitored. I realize it is one thing to simply make the statement, “swing trading options is great for those that have day jobs”, but this content will show you in “real time” how an option swing trade actually works in the “real world”. If you are someone who needs a bit more convincing that it is possible to be a trader with a full time job, there is no question you will have your eyes opened. 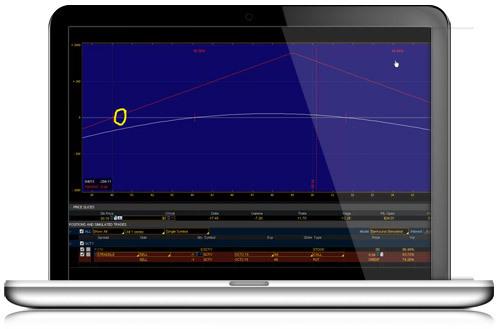 Enroll today and get instant access to the "The Options Trading Video Diary" subscription. This is entirely available online with the user name and password you will create during checkout.